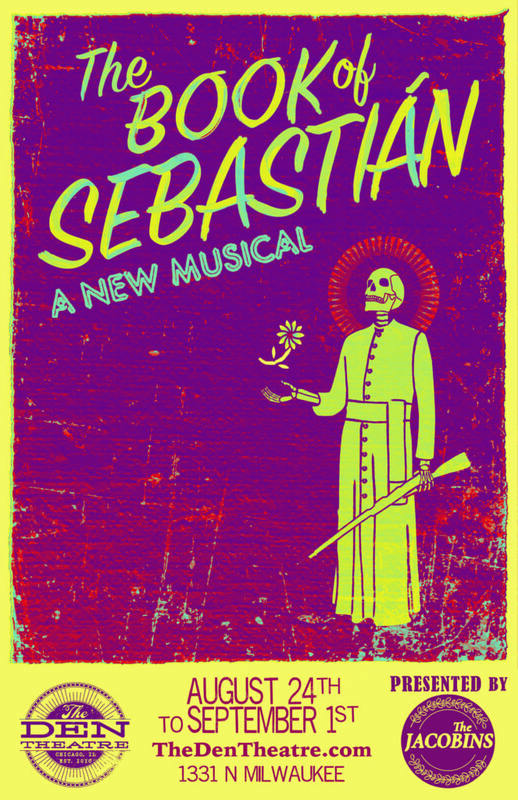 The Book of Sebastián, The Jacobins at The Den, closes 9/1/2018. ASHLYN LOZANO (BFA, Acting, ’15) directs. MARIANA CASTRO (BFA, Acting, ’18), ZACH DE NARDI (MFA, Acting, ’15), NOAH LAUFER (BFA, Acting, ’15), KRYSTAL ORTIZ (BFA, Acting, ’16), MAX STEWART (BFA, Acting, ’15), and NICK TRENGOVE (MFA, Acting, ’18) are in the cast. ERINN FREDIN (BFA, Acting, ’15) is the movement director. TYLER ESSELMAN (BFA, Acting, ’15) and FIONA GARRETSON (BFA, Acting, ’15) are co-producers. ERIC MATTHEW RICHARDSON (BS, Sound Recording Technology), who graduated from The DePaul School of Music, is the composer and playwright.